In my case I once had my hard time accepting multi-gattai and having more than seven mecha but when I started to view it, I said, "Hey it's not half-bad." But still, this wasn't the phase where I was ready to accept it. In fact I was in denial that I freaking loved the new idea. Gaoranger managed to work it well. Boukenger not really but I still freaking like Boukenger despite its rather lame finale. 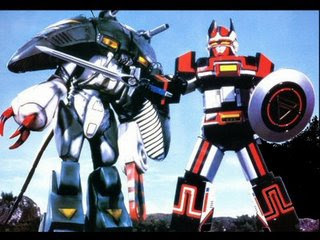 Abaranger and Hurricanger were two shows I once was hesitant to accept. However the stupid reason of me beginning to see Abaranger as a Zyuranger copy or Hurricanger as a blatant Liveman/Kakuranger copy. 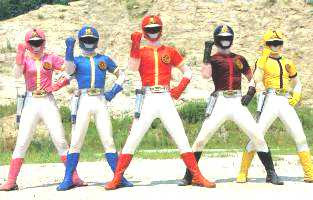 After seeing a few episodes of Abaranger, I want to see more. Tail Soldiers- Reptiles that go "wee"
I haven't done a tribute in a long time but I thought I should do a tribute to one of those Sentai girls I enjoy watching for better reasons. Okay I don't find Haruka attractive but what makes her enjoyable for me is she is kickass... definitely a continuation of the badass Jun Yabuki was in Bioman though she had an unusual backstory. 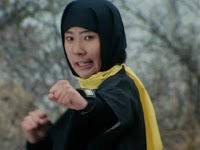 Maybe other female ninjas were taught to be graceful and elegant but she is a badass which makes me put her in my list of favorite Sentai heroines. What was known was that she was raised as a ninja and couldn't play with girly things, or was presumably taught to be masculine. However, despite her being a fighter she was truly a woman at heart while also respecting the art of the kunoichi. At the same time, she had her rivalry with Fuumin which was pretty fun to watch. But the Maskmen didn't know much about her at first. 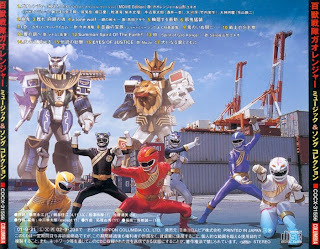 I grew up watching watching Super Sentai and there were questions I asked which these questions can exist also in Power Rangers how both are interrelated franchises. 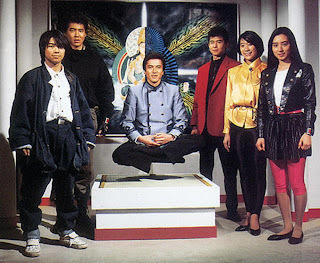 Well since it's only fiction so it's only normal weird things happen like... and some of these goofs and unanswered questions actually make Super Sentai fun to watch. For every organization that holds a huge warehouse of monsters of the week, why do they deploy only once a week? 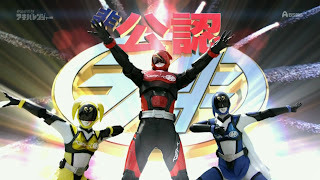 Yup this was Akibaranger and to be honest, the first episode I watched was focused on that rather hilarious "Delusional Import" which targets all those annoying fanboys. At first, I really had a close mind towards Akibaranger if all it seemed to me was "just a battle in your head". But after checking it out, well hey I did miss and I mean MISS a lot of what I should have seen. 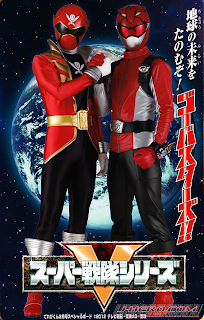 Being an adult who likes Super Sentai, I really realized this is a must see and I regret so much not giving it a chance. It's been some time since I did a review. I would admit that despite the fact I really suspended my watching Gobusters with some catching up to do, Kento Shimomiya managed to do a decent job arranging Yasuko Kobayashi's "burnt out" work Gobusters with Gokaigers. Okay I'm not really a huge fan of both series but I'd admit the packaging and story telling manages to do well with a lot of gush factor.